Adsorbent-filled cartridges block is designed for insulating oils’ purification of water as well as for their acidity reduction. Viscosity of aforementioned oils should be less 70 cSt for the temperature of 50°С. The block’s framework enables operation of adsorbent-filled cartridges connected either serially or parallel respective of the input and output oil parameters. CP-260 unit can be used in conjunction with any type of our Transformer oil purification plant or High vacuum transformer oil degassing plant.If using zeolite NaA in one adsorbent column and silica gel in another one during series mode it is possible to make the oil regeneration, providing oil dehydration and color restoration, acid number, optical density and ash content decreasing, as well as removing of oil detritus and aging residues. 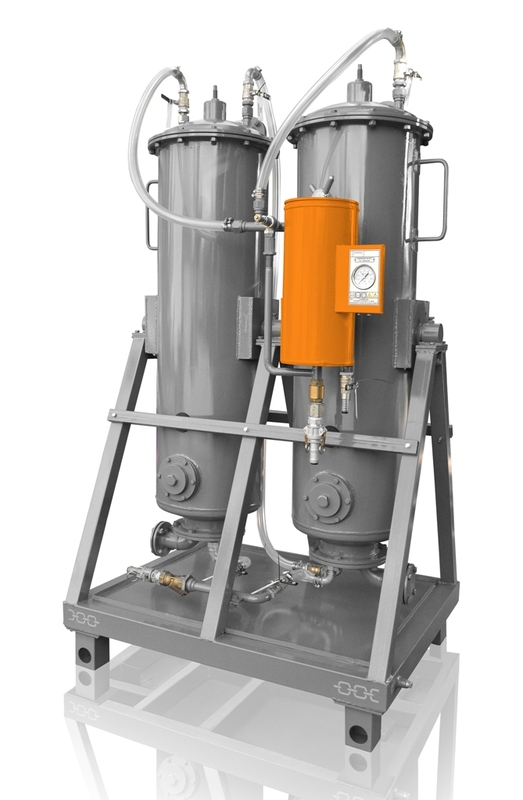 It is possible to reactivate the absorbent using our Adsorbent reactivation and preparation unit BRPS (please contact manufacturer for details).